SG582-583 Grenada Wedding of Princess Anne and Mark Phillips. Set of two marginal from the Sheetlets (as image). Issued: 1973 Very Fine (CTO) Used Library Image. 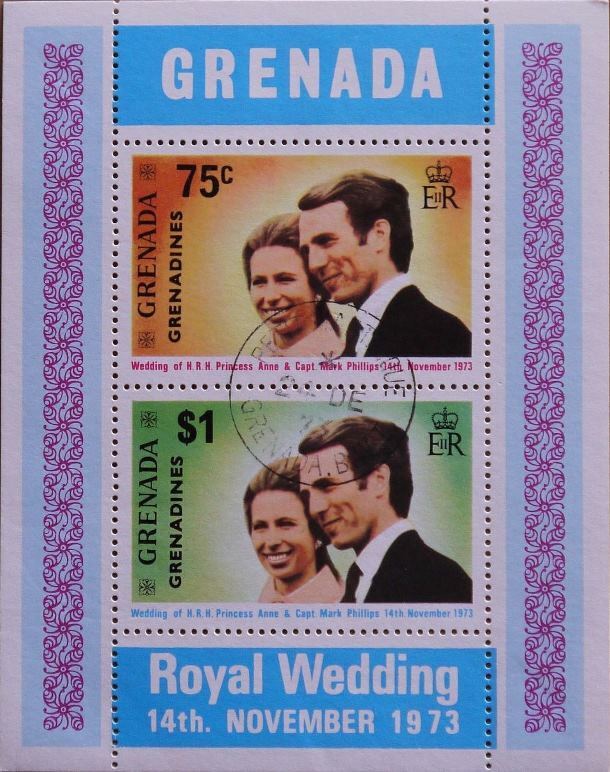 SGMS584 Grenada Wedding of Princess Anne and Mark Phillips. Miniature Sheet (as image). Issued: 1973 Very Fine (CTO) Used Library Image. SG1-2 Grenadines of Grenada Wedding of Princess Anne and Mark Phillips. Set of two marginal from the Sheetlets (as image). Issued: 1973 Very Fine (CTO) Used Library Image. 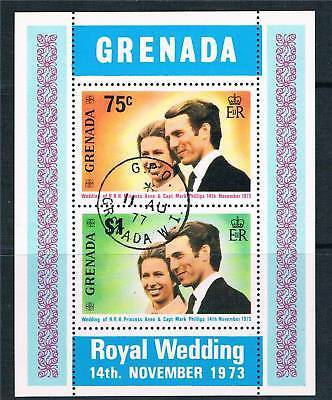 SGMS3 Grenadines of Grenada Wedding of Princess Anne and Mark Phillips. Miniature Sheet (see image). Issued: 1973 Very Fine (CTO) Used Library Image. SG131-132 Wedding of Princess Anne and Mark Phillips. Issued: 1973 Mint Never Hinged Library Image. SG131-132 Wedding of Princess Anne and Mark Phillips. Issued: 1973 Very Fine (FDI) Used Library Image. 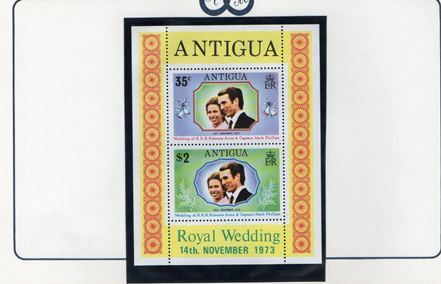 SG374-375 Wedding of Princess Anne and Mark Phillips. Issued: 1973 Very Fine Used Library Image. SG1-2 Grenadines of St Vincent. 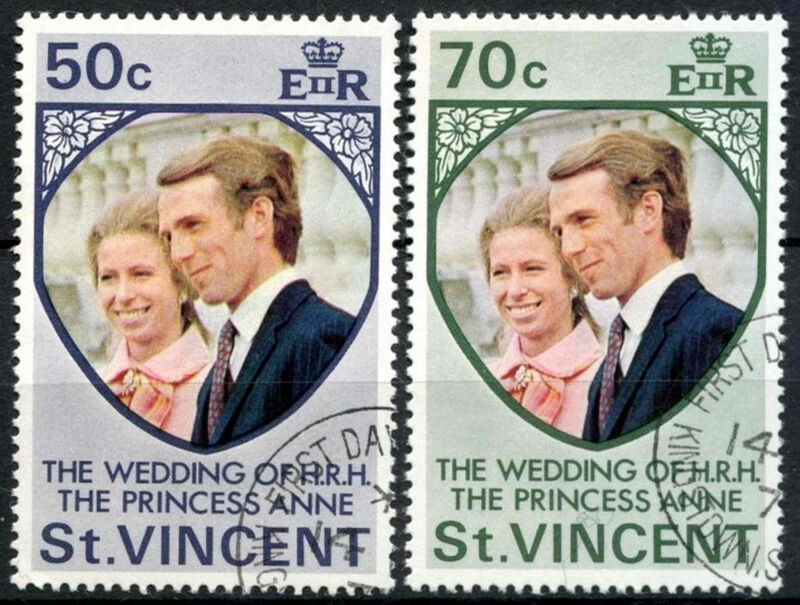 Wedding of Princess Anne and Mark Phillips. Issued: 1973 Mint Never Hinged Library Image. SG1-2 Grenadines of St Vincent. 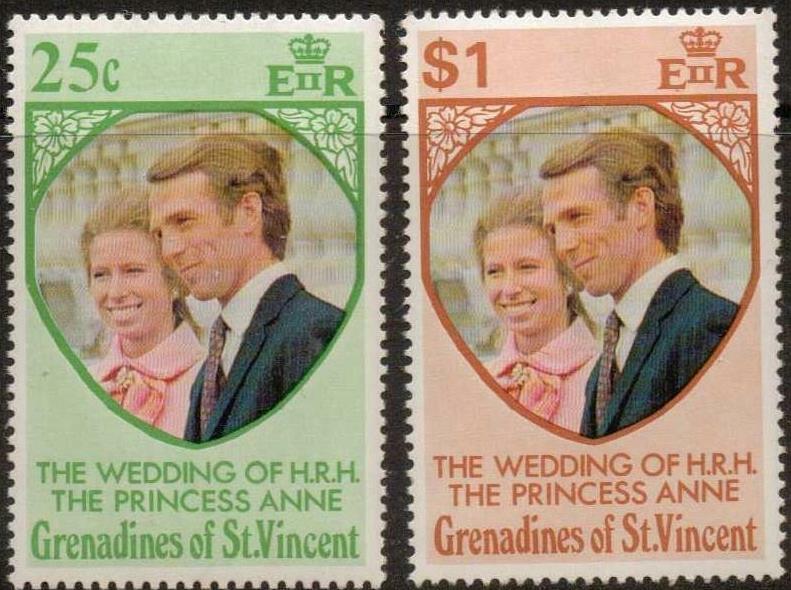 Wedding of Princess Anne and Mark Phillips. Issued: 1973 Very Fine (CTO) Used Library Image. 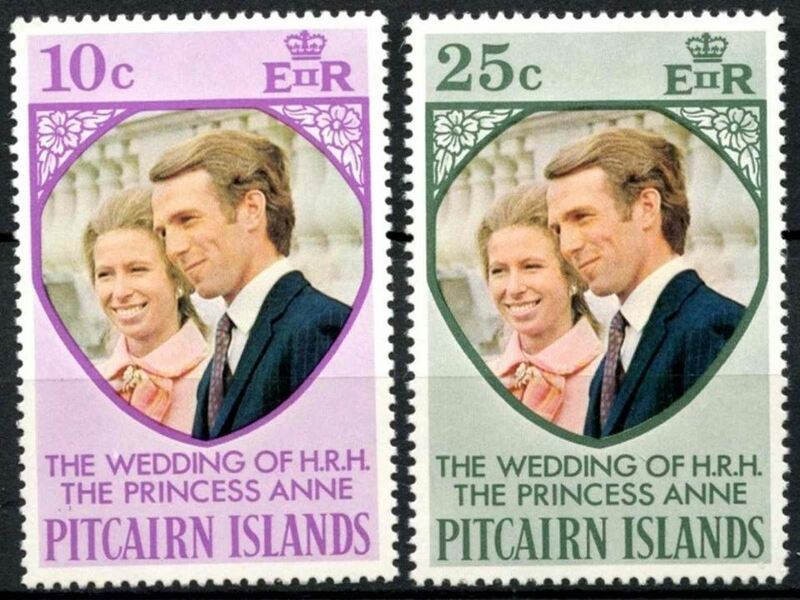 SG041 Royal Wedding - Princess Anne and Captain Mark Philips. 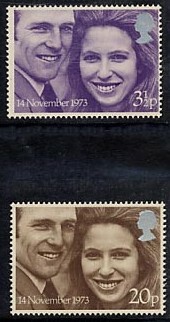 Issued: 14th November 1973. Perf: 13½. SG97-98 Royal Wedding. Princess Anne and Captain Mark Phillips. 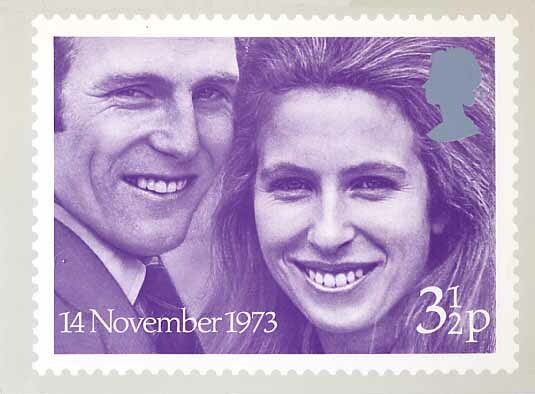 Issued: 14th November 1973 Perforations 11½. SG941-942 A set of 2. Issued: 14th November 1973.